This is an old historic cultivar that was briefly popular commercially many years ago. 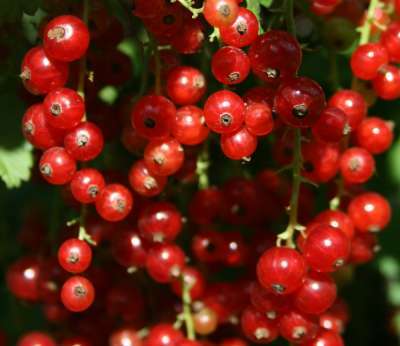 It remains a good variety for garden growing; it is prolific and ripens it's berries in a concentrated flush of decadent beauty. The flavour is good and the growth is little troubled by disease. Does well in all areas, trouble free & easy to grow. Mid season; suitable for cordon or bush type growing.